So almost as soon as the first fight with “Thug Rose” was stopped, Jedrzejczyk was in search of an immediate rematch. There would no move to the flyweight division or a tune-up fight to get her confidence back. 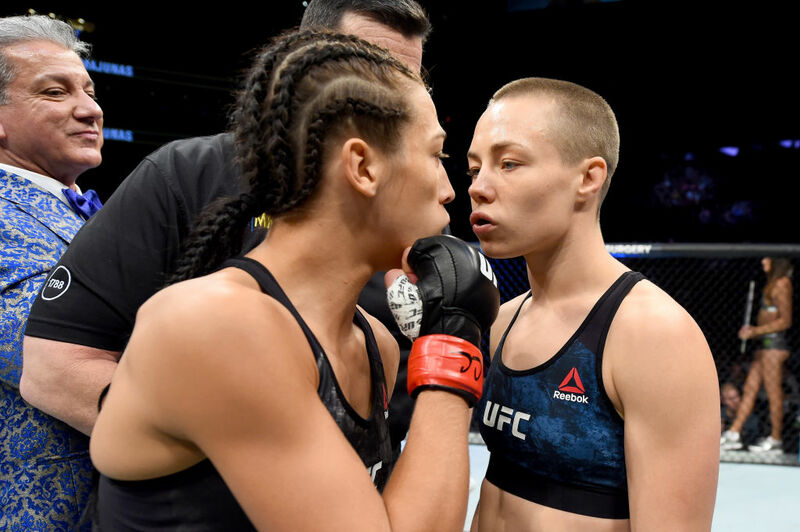 It was Namajunas or nothing, and the UFC agreed that her body of work and long reign over the 115-pound weight class earned her that right. So all she had to do was wait for the phone call from matchmaker Mick Maynard. And Jedrzejczyk hasn’t gone into a dark room for the last five months. As visible, affable and accessible as she’s always been, the Poland native has accepted that in the fight game, no one stays unbeaten forever. Sometimes you show up and everything goes haywire, an opponent has your number, or it just isn’t your night. For the 30-year-old, everything went as well as it possibly could in the lead-up to the fight at Madison Square Garden. Then came the final day of her weight cut. It’s a lesson she’s tired of discussing, mainly because her honesty about how the weight cut affected her on fight night has been seen by an excuse by some, giving her a harsh lesson in the fickle nature of this business. Suffice to say, even before Friday’s weigh-in approaches, Jedrzejczyk is confident that what happened last year will not be an issue again. And the lesson she learned is one she is grateful to have received. She sighs. At the time of this interview, camp was coming to a close, the media obligations were ramping up, and it was almost time to leave Florida for Brooklyn. It’s an exhausting schedule, and it’s no wonder why 99.9% of fighters call the actual fight the payoff for the weeks that lead up to it. She means it, antsy to get back what she believes is still hers. But ask Jedrzejczyk what she misses about having the belt, and she gives a surprising answer. Jedrzejczyk may not be “Joanna Champion” today. But on Sunday morning, she expects to go home with that title once more. Of that, she has no doubt.